Feeling sick affects multiple body systems. Symptoms of being sick are not an adaptation that works at the individual level, but are on the level of the “selfish gene,” proposed researchers from the Weizmann Institute of Science. Their findings are published in PLoS Biology. RELATED: APAP for Flu: Does It Help or Harm? The study includes a review of typical symptoms of illness and how they support the hypothesis. For example, appetite loss prevents the disease from spreading through shared food or water resources. Fatigue and weakness decreases the sick individual’s mobility thus reducing the radius of possible infection. Other symptoms such as depression or lost interest in social and sexual contact also reduce opportunities for pathogens to be transmitted. In addition, lack of personal grooming and changes in body language also project a “I’m sick! Don’t come near!” message. Although isolation is the best way to prevent the spread of disease, people with the flu just take medication to reduce pain and fever and still go to work “where the chance of infecting others is much higher,” said Professor Guy Shakhar, from the Immunology Department. 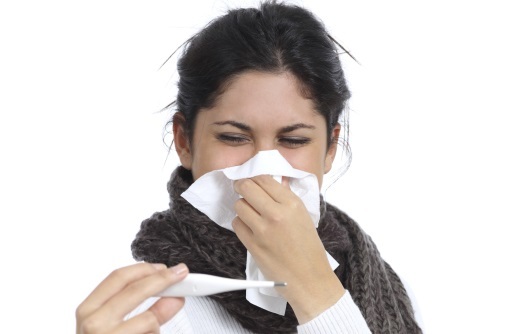 Study findings emphasize the importance of staying home if you feel sick. For more information visit weizmann.ac.il.